I really couldn’t be any happier! Thanks!!! I am so happy!!!! And you’re most definitely welcome! WOW!!!!!!!!!!!! I think you need to set up a shop and sell pillows! 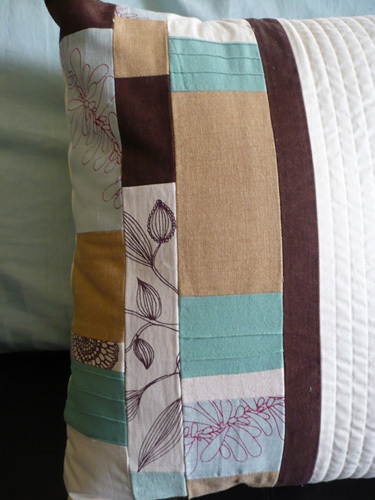 Not that your quilts aren’t gorgeous either, but those pillows are absolutely AMAZING! 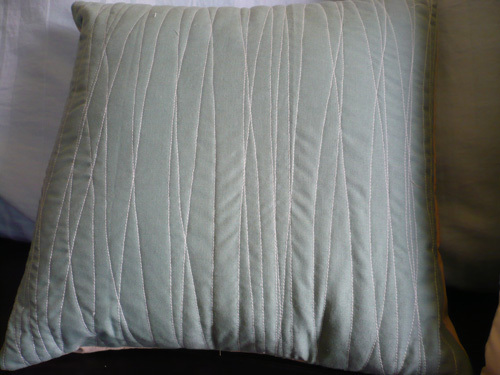 I’ve never made any pillows and I know people say they aren’t hard, but i think I’ve tried one many years ago and it turned out horribly! 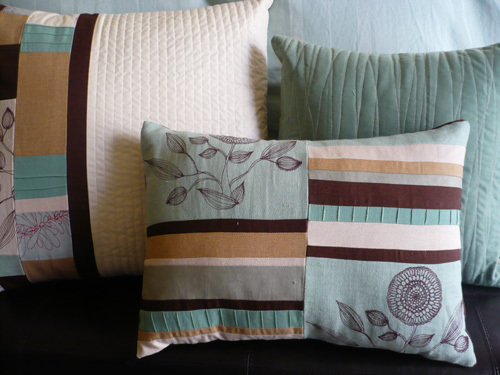 I love every single one of these pillows! They are stunning!!!! 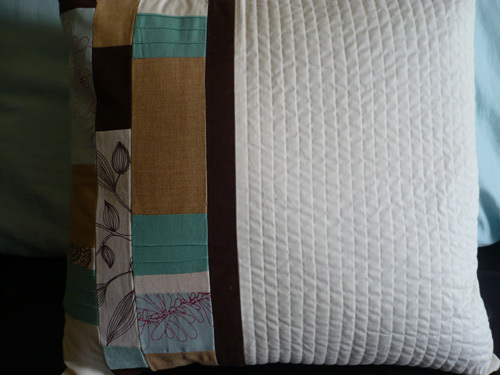 This whole set: the pillows and quilt are going to be fabulous! Can’t wait to see the whole set done! Thank you for all the praise! And Jen N. the pillows really aren’t that hard once you figure out what you are doing. It was certainly fun to start and finish something in a few hours. 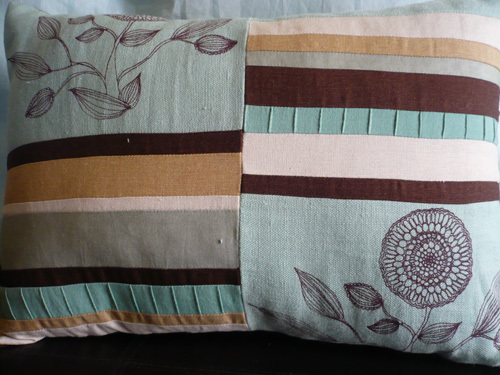 All 3 pillows took about 6 hours total, so not too bad…I think pillow 1 took the longest.